[Uncharted: The Lost Legacy] Why did Naughty Dog ditch Nathan Drake? HomeUncharted: The Lost Legacy[Uncharted: The Lost Legacy] Why did Naughty Dog ditch Nathan Drake? Nathan Drake often appeared as Chloe Frazer’s right hand. In fact, he had a romantic relationship with her. Nathan and Chloe appeared in multiple adventures together such as Uncharted 4: A Thief’s End and many other Uncharted installments. However, Naughty Dog decided to take a different route and instead ditched Nathan Drake. To replace him, Naughty Dog instead put Nadine Ross. Nathan Drake, born under the name Nathan Morgan, believed that he is a descendant of the great Francis Drake. He was born to the historian Cassandra Morgan and another man (no name). However, his mother soon committed suicide and his father wanted nothing to do with them. With that, both he and his brother were sent to the orphanage in which they soon outgrew. But both boys soon discovered from an old woman about their mother’s belief through her journal. Realizing that he and his brother had nowhere to go, both of them adopted the name “Drake” as their surname. From then on, Nathan Drake became a treasure hunter similarly to Francis Drake. 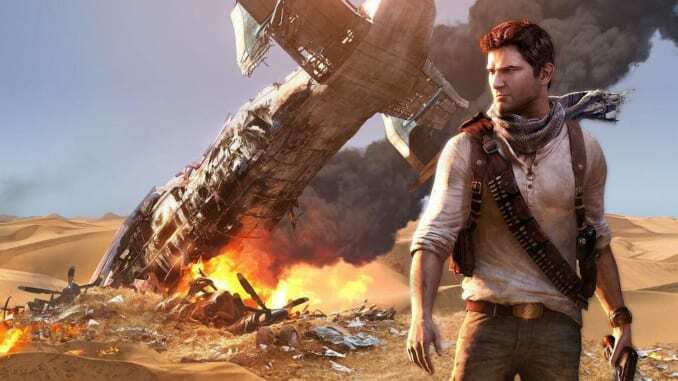 Nathan Drake appeared in Uncharted 4: A Thief’s End. However, the creative director Shaun Escayg mentioned that Natahn Drake will not appear in the latest Uncharted: The Lost Legacy. With that, Escayg wanted something more “up and personal” with Chloe. With the Tusk of Ganesha being the new centrepiece, he wanted to explore Chloe‘s story even further. Another is that the appearance of Nadine Ross adds a bit more flavour. With connections to the game’s antagonist, Asav, the two begin their story together in Uncharted: The Lost Legacy.